How Can I Enforce the SEI CERT C Coding Standard Using Static Analysis? Join the conversation on Virtual SEI in real time or through our on-demand assets, as we work with the cyber and software engineering community to expand best industry practices. As a Federally Funded Research and Development Center (FFRDC) sponsored by the Department of Defense, our research, systems development guidance, and analysis are objective and independent. We research software and cybersecurity problems of considerable complexity. We apply first principles of relevant information science, computer science, and mathematics to mature the disciplines of engineering and securing software systems. 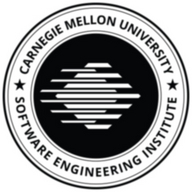 The Carnegie Mellon University Software Engineering Institute has been working with government, industry, and academia since we were established in 1984. Our expert staff develops and applies technologies to address issues in acquisition, process improvement, cybersecurity, and other areas of software and systems engineering.